Kim Jong And Donald Trump Ready To Meet Again, The Second Summit Will Soon Be Held: US President Donald Trump and North Korean leader Kim Jong-agreed between them to move forward in the direction of completely eliminating the Korean Peninsular from nuclear weapons. Now there is a consensus on the meeting leaders of both countries. US President Donald Trump and North Korean leader Kim Jong will meet in the second summit soon. 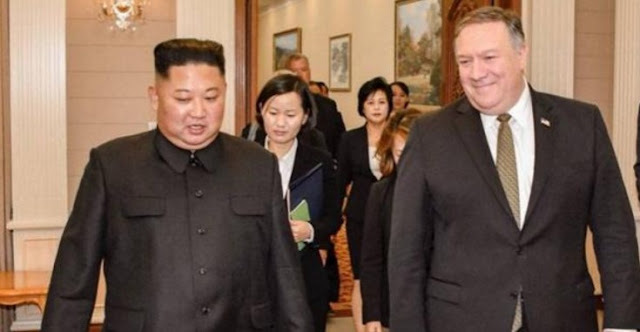 US Secretary of State Mike Pompeo and Kim Jong- Un , there was a positive dialogue about nuclear disarmament in a meeting in Pyongyang. After nearly two hours of talks between US Secretary of State Mike Pompeo and Kim in Pyongyang, North Korea, Pompeo tweeted that meeting with chairman Kim was good on the trip Pyongyang. We are moving forward towards continuous progress based on the consent of the Singapore summit. Thank you for hosting me and my team. kim Jong he has also praised the conversation with Pompeo. He said this was a very good day, which promises a good future for both countries. After the talks with North Korea, US Foreign Minister Pompeo arrived in South Korea. In the capital Seoul, Pompeo said that the second round of summit on the nearest possible date between the US and North Korea has been agreed on. A statement issued from the office of the President of South Korea said that although the agreed date and place is yet to be agreed. In a statement issued by South Korea, it has been said that steps taken by North Korea regarding nuclear disarmament between Pompeo and Kim and discussions related to the US have been discussed.